This shoot is right up my alley! 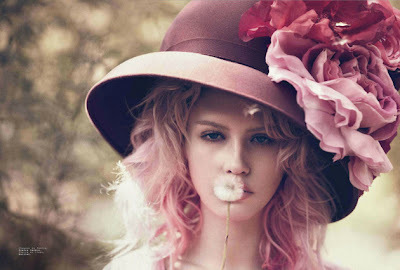 Soft, smokey girly blushing pink hues, fluttering dandelions, oversized floral bowler hats and playful fairytale stripes. Shot by Charlotte Free for Jalouse June 2011.